JoAnn Jackson Ulm, age 72 died peacefully on November 22, 2016 at the Hospice of the Valley, in Gilbert Arizona. JoAnn was born on September 14, 1944 in Pinedale, Arizona, the daughter of Cyrus Rodwell Jackson and Nellie Foutz. JoAnn grew up in the small town of Pinedale with her four brothers and three sisters. She worked for 35 years at Motorola, in accounts payable and travel audit, a job that she loved. She is a member of the Church of Jesus Christ of Latter-day Saints and has served in many callings and capacities mainly in Young Women’s and Relief Society, even when her memory was beginning to fade. Her greatest love in life was her family. She was a devoted mother to her girls and she loved her grandchildren more than anything. She was the one that you would see on the ground giving them horsey rides or taking them to the park and will always be remembered for her birthday traditions. She was thrifty but never stingy and loved showering her children and grandchildren with presents on Christmas morning. She would blow kisses that would chase them around the rooms and taught them how to grandma clean. And was always known for telling her family daily how much she loved them. 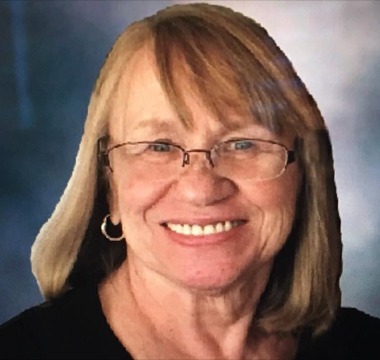 JoAnn leaves behind two daughters and their spouses, LeAnn and Daryl Hunt and Cyndi and David Palmer, 11 grandchildren and 2 great-grandchildren. JoAnn is also survived by her three sisters, Laree Hall, Elaine Goodman & Nadene (Jackie) Shumway and her two brothers Doug and Larry Jackson. A visitation will be held on Friday, November 25, 2016 from 6-8 PM at The Church of Jesus Christ of Latter-day Saints, Lindsay Ward, 1150 N. Lindsay Road, Gilbert, Arizona. Funeral services will be Saturday, November 26, 2016 at 10 AM, preceded by a visitation at 9 AM, at the same location. Interment will be at the City of Mesa Cemetery.